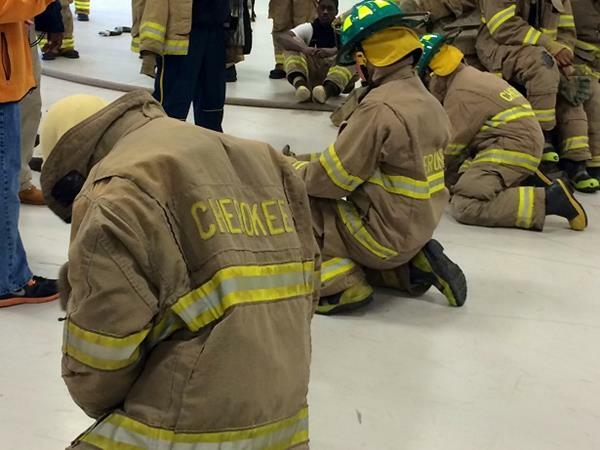 In the spirit of inter metro cooperation. 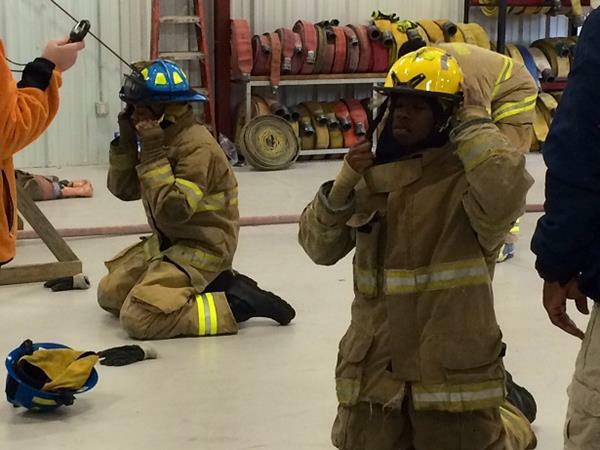 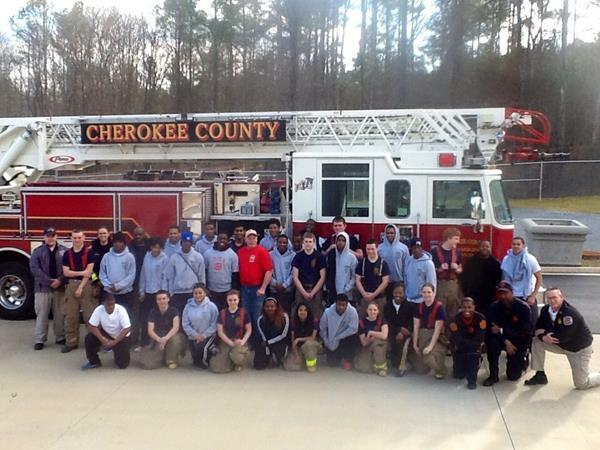 Cherokee County Fire & Emergency Services’ Explorer Post #469 hosted DeKalb Fire & Rescue’s Explorer Post #901 for a joint training day at the Cherokee County Fire Training Complex on Feb. 1. 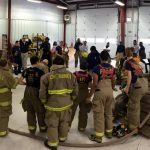 The training was not just for fun; it was done to prepare both posts for the 40th annual Winterfest Competition which will be held Feb. 8 in Gatlinburg, Tennessee. 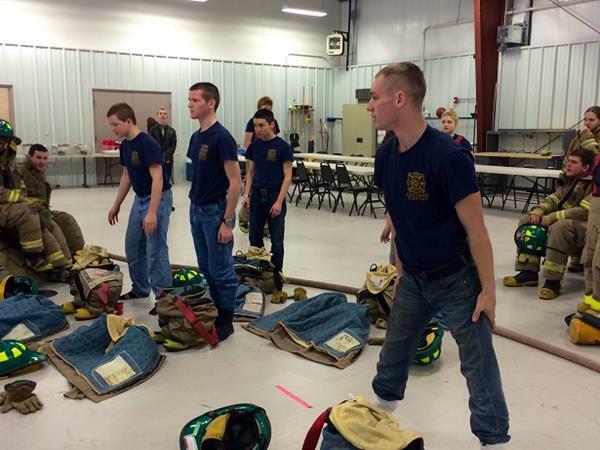 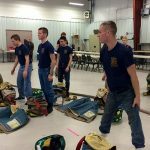 The competition consists of more than 3,600 participants from 13 states to compete in drills that would test their skills and knowledge in the fire and emergency services field. 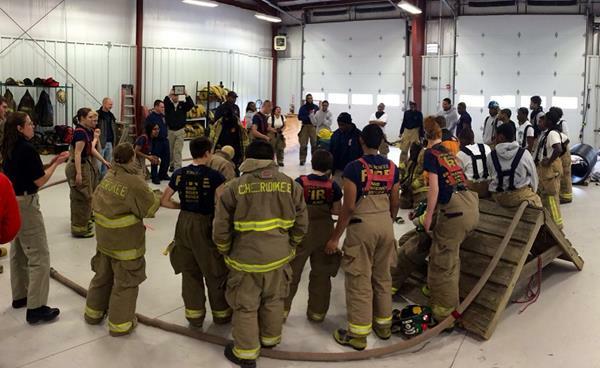 It also brings an opportunity to meet new people, learn new skills, share ideas and have fun. 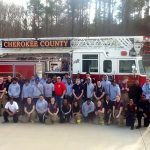 Cherokee County Fire Explorer Post #469 also provided lunch and enjoyed the time spent with the brother firefighters and explorers from DeKalb County. 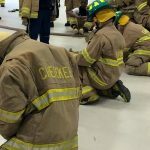 Cherokee County Assistant Fire Chief Eddie Robinson and Chief Garcia, retired battalion chief from DeKalb Fire & Rescue, shared some encouraging words with the explorers before their day of training ended. 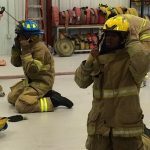 They both spoke of “The Brotherhood” here in the fire service and expressed their pride of the hard work and dedication the explorers had been putting forth to prepare for their competition. 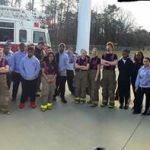 Also in attendance was Atlanta Fire & Rescue’s Explorer Advisors, who were there to learn about operations and training techniques to assist them with training their new explorers.